During the summer of 2008, Turkana Basin Institute scientists Erik Seiffert and Joe Sertich joined scientists from the National Museums of Kenya for a return trip to the Turkana Basin to search for more complete fossils from known sites, and to explore for new fossil localities in a series of sediments exposed west of Lake Turkana that are believed to be of Late Cretaceous or early Paleogene age. There is currently a 40 million-year-long gap in Africa’s vertebrate fossil record, between about 96 and 56 million years ago – an interval during which Africa became isolated from other continents, non-avian dinosaurs went extinct, and placental mammals first arose. 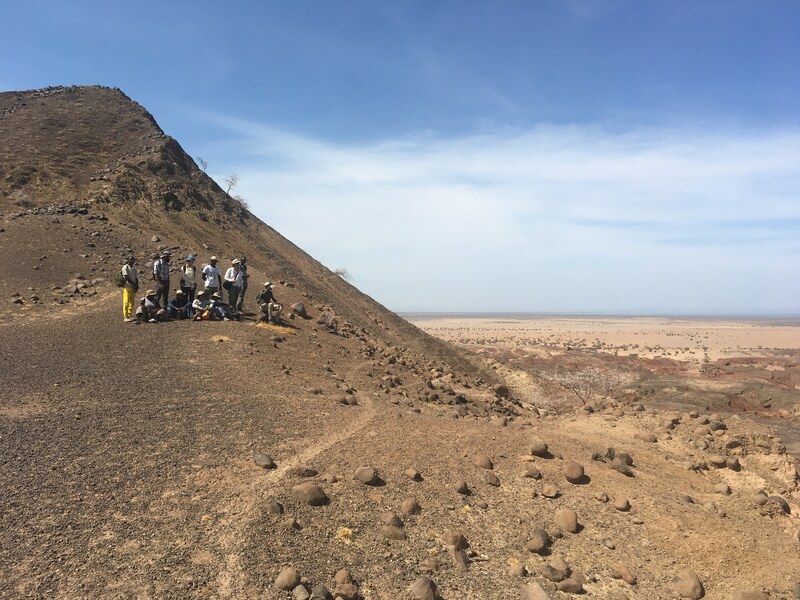 At present there are no records of mammals, and only a few fragmentary remains of dinosaurs, from this massive lacuna in Africa’s fossil record, and as a result scientists know nothing about what happened to these groups during this pivotal interval in African prehistory. 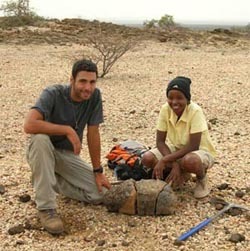 Paleontological reconnaissance in Kenya in 2004 led to the discovery of dinosaur, crocodilian, and turtle fossils at various sites on the northwest side of Lake Turkana, and subsequent analysis of this fauna suggests that it is the youngest diverse terrestrial vertebrate fauna from the Late Cretaceous from Africa. Fossils from these sites will be critical for testing a number of outstanding hypotheses related to: 1) the pattern and timing of fragmentation of the southern supercontinent (Gondwana); 2) the nature of non-avian dinosaur evolution in Africa prior to the K-T mass extinction; and 3) the nature of mammalian evolution in the Late Cretaceous of Africa.